The StickWithUs Organization supports INREACH through yearly financial contributions. INREACH is a leader in Charlotte, providing innovative housing, employment, and community services to support people with intellectual, developmental and other disabilities and their families. Jimmy Core played lacrosse at Ardrey Kell HS & Florida State was one of the "original Cyclones" and played in just about every StickWithUs program including Team Carolina. Jimmy passed tragically from a swimming accident in 2016. The Jimmy CORE Foundation is a nonprofit organization founded in the spirit of its namesake. Jimmy Core was committed to helping homeless people eat a full meal in the communities in which he lived and worked. 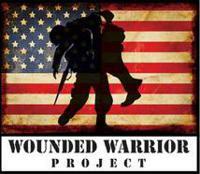 Our National charity of choice is the Wounded Warrior Project. In 2014 the StickWithUs Organization founded the Champions Challenge in support of the Wounded Warrior Project. We embrace the WWP mission to Honor and Empower Wounded Warriors. The event will feature both private school and public school state champions as well as other top programs from the region. All proceeds from the Champions Challenge are donated to the Wounded Warrior Project. Over the past several years, Charlotte has witnessed a dramatic growth in lacrosse. It has gone from a struggling club sport in the area high schools, to a flourishing youth sport with hundreds of participants and state sanctioning by both North and South Carolina. Our Youth Lacrosse Initiative is geared to bring the game to anyone who wants to play. Funds donated to the Youth Lacrosse Initiative will provide scholarships to area children who otherwise would not be able to participate. Our role is to continue to promote the growth and development of lacrosse through active participation by all the kids in our community. Suggested contribution to assist this program with sticks, equipment and registration fees is $750-$1,000. Please consider making a donation to support these children. To make a secure online donation to The StickWithUs Organization you may use our credit card gateway. CLICK HERE to go to the gateway.